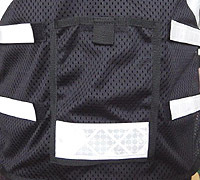 Urban-Glow designs and manufactures a range of advanced technical riding vests and accessories that combine safety, style and function. 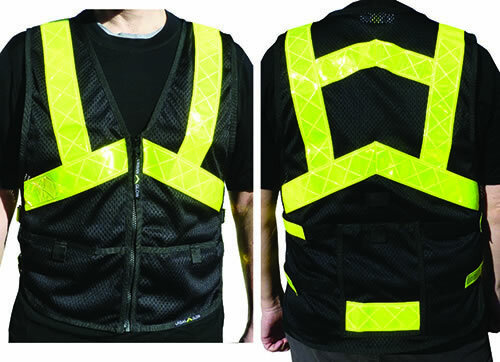 "Urban-Glow vests are excellent. I ride in town most of the time and being seen is the first defence against ending up under a car. 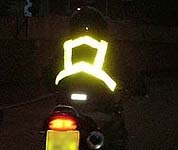 The vests are cool and practical. 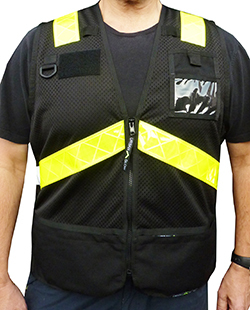 I never ride at night without mine"
The TriStar Max Vest features an active cut which is tailored to fit closer (slimmer body profile). It also employs the Variable Adjustment System to enable a custom fit. UK p&p from £4.50 Standard Royal mail 1st Class signed for delivery. 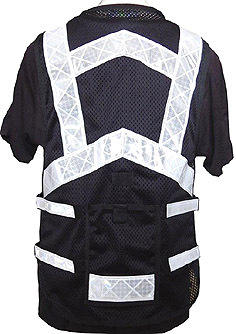 NEWS UPDATE: THE MAX VESTS HAVE FLOWN OFF THE SHELVES AND WE ARE CURRENTLY SOLD OUT! 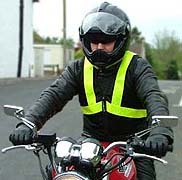 Fitting Guidance - to ensure the correct fit we recommend taking a chest/torso measurement while wearing your regular riding jacket. 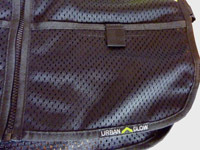 Contact sales@urban-glow.com for extra guidance if needed. 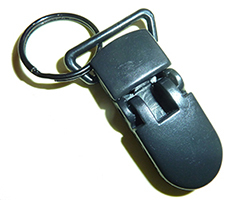 Developed for emergency services use the Bahn-Dragon is a military standard zip retainer attachment and jaw clamp for those requiring additional confidence when riding at sustained high speeds on autobahns, M-Ways and track sessions. 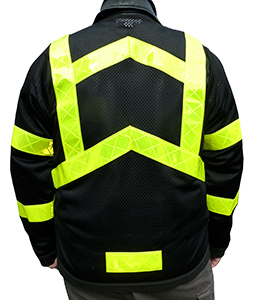 The new RideStar jacket sports our signature chevron with the addition of sleeves incorporating 2 x reflective hoops on each arm to enhance your visibility to other road users. 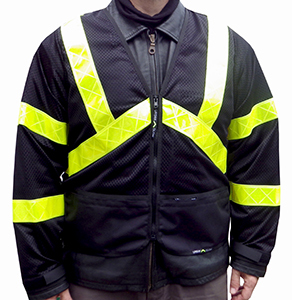 The jacket comes with twin front zip pockets in cordura fabric and an innovative adjustment feature to fine tune the fit.